What’s with Docs Becoming Writers? We’re thrilled to have Charlotte Nash blogging with us today. Welcome Charlotte! My big thanks to Amy Andrews for her invitation to this blog. Being this is the place for medicine and romance, I thought I’d do a little reflection on both, through the paradox of doctors who become writers. Why this? Well, because I’m one of them, and for years it was the source of askance looks at BBQ conversations. Really? You gave up medicine to write? Why would you do that? Why are you writing romances? By the way, can you look at this rash? And I’d choke a bit on my steak trying to answer (about the writing, not the rash). It’s hard to face Aunt Mildred and explain why you pass up all the prestige of a medical career for the solitary (and sometimes impoverished) life of a writer. Really … how to explain it? Medicine is sometimes seen as a romantic profession. All those brooding, capable, good-looking, do-gooding, (and well-earning!) doctors. (Or is that just Grey’s Anatomy and Nip/Tuck?) Whether male or female, it’s easy to admire a good doctor, with their intelligence, sensitivity, and capacity to change lives. Why else would I be glued to RPA and Embarrassing Bodies? (Apart from Dr Christian’s biceps and Dr Pixie’s hypnotic accent). The reality, though, for anyone who’s spent any time in a hospital can be rudely unromantic. The heroic feel of ER often doesn’t last the first contact with reality. Most patients in hospitals are not those with straightforward diagnoses who can be cured (or even complicated diagnoses that can be cured, sorry House). Many people don’t take advice. Doctors spend a lot of time on paperwork, long hours on the job, and some of them, like the rest of us, can be insensitive and distinctly uninspiring. So. Here’s the short of it. Romance, for me, is about striving to fulfil what’s in our hearts. I think that’s true for both characters and people generally. And for a bunch of docs, myself included, writing is that heart of hearts-desire to strive for. Medicine is a worthy thing. But so are stories. So for those of us who went down the doctor path but fell off into the fields of writing, medicine in its many guises has migrated into our stories. I’m always grateful of the incredible experiences I had and things I learned in medicine, but writing books is my compulsive love. Funnily enough, many of my characters feel compelled to do their chosen careers too … I wonder why that would be! 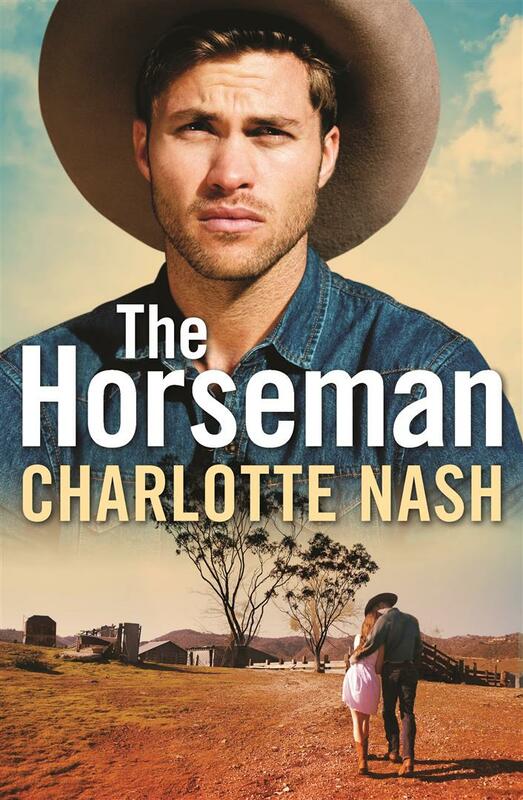 If you fancy reading about any of them, my next novel The Horseman is out this week, featuring Peta Woodward, capable emergency doc stranded in the Australian high country, and horseman Craig Munroe. Horses, medicine, family drama, and a hint of crime. Wherever good books are sold, and online in all the usual places. More information here. Lovely to have you here with us, Charlotte. And what fascinating tale you have to tell about how you became a writer. It was a brave move to step off a successful career ladder into the unknown but it is obviously paying dividends. I have just read your book and was hooked from the first to the last pages. I shall certainly look out for more books by you as I suspect a lot of eager readers will do! Welcome, Charlotte! So many writers seem to have started out as something else, and made that brave and sometimes seemingly illogical move into writing. I guess it really is true love 🙂 I’m a huge Sherlock Holmes fan (although the stories used to terrify me when I was a child), so you’re definitely in good company. Love the sound of your new book, it’s heading for the top of my tbr pile very soon! It’s a wonderful thing when you get the chance to swap careers and do what you’ve always wanted to do. I did that, but from the less exalted field of corporate affairs. WOW that is a great post and I think it is awesome that your followed your heart and started writing and I must say The Horseman is a fabulous story I finished it the other day and cannot stop thinking about it I highly recommend it I fell into it from page one and had a very late night finishing it. We are storytellers at heart, all of us. In a book called Wired for Story, author Lisa Cron talks about the evolutionary purpose of storytelling. Good stories release dopamine! We need them. We crave them. And, wow, it appears that your story, The Horseman, has all the ingredients readers crave! Congratulations. Your story sounds very interesting – it’s now on my TBR list! Thanks for joining us. I think romance writers are some of the smartest people I know. It nice to know that people do things they love instead of being motivated by money and prestige. Fabulous blog, Charlotte! Thrilled you could join us!